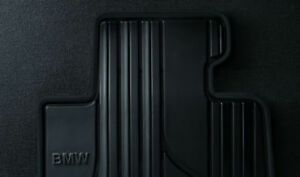 BMW E92 3 SERIES COUPE 2005 - 2012 RUBBER BOOT MAT WITH BOUND EDGE. bmw_direct has no other items for sale. Terms and Conditions Version 29 October 2015 Part A: Webshop Terms Part B: Terms and Conditions of Sale Part A: Webshop Terms The terms below govern your use of this webshop and by accessing this webshop you agree to be bound by them. If you do not accept these terms, please do not use the webshop. We may change these terms at any time without notice by updating the terms shown on this webshop. It is your responsibility to review the webshop terms each time you enter the webshop to ensure you are aware of our latest terms and conditions. Your use of this webshop after a change has been made signifies your acceptance of the revised terms. This webshop is for your personal use only and is not to be used for any commercial purpose. Information about Us This webshop is operated by Park Lane Limited, a limited company registered in England under Company Number 1569304, having its registered office at Summit ONE, Summit Avenue, Farnborough, Hampshire, GU14 0FB (referred to as "BMW/we/our/us"). VAT number [GB 584 4519 13]. E-mail address: bmw@wearepentagon.com. Terms and Conditions of Sale These webshop terms should be read in conjunction with the separate Terms and Conditions of Sale of the individual products which are referred to on this webshop. In the event of any inconsistency between these terms and the specific product terms and conditions, the latter shall prevail. Information about Products and Services Whilst we have made every effort to ensure the information on this webshop is up to date and accurate, neither we nor any third party can accept responsibility for your reliance on any information on this webshop. Delivery in the UK We ship to all addresses within the UK excluding Gibraltar and British Sovereign Bases Cyprus. We also ship to the Isle of Man. The product specifications on this webshop are, unless stated otherwise, for the UK market only. These specifications (including what is optional and what is standard equipment) may vary in other markets. However some images may be of products supplied in other markets and not reflecting specifications in the UK. The information and other materials contained in this webshop may not satisfy the laws in countries outside the UK. If you choose to use products purchased from BMW Direct outside the UK you are responsible for ascertaining to what extent local laws are applicable and compliance with local laws. Any telephone numbers and charges shown only apply to calls made from within the UK. Webshop Availability We cannot promise that this webshop will be uninterrupted or free of errors, bugs or viruses and we will not be liable if, for any reason, this webshop is unavailable at any time or for any computer virus or system freeze. Access may be suspended at any time without prior notice being given. Copyright The copyright in the material contained in this webshop belongs to Bayerische Motoren Werke Aktiengesellschaft Munich (BMW AG) or its licensors. No person may copy, modify, transmit, distribute, display, reproduce, publish, license or create works from any part of this material or otherwise use it for any public or commercial use without the prior express written permission of BMW. You may only view or print individual pages for your own personal use. Trademarks The names, logos and images on this webshop which identify any BMW Group company, or third parties and their products and services are proprietary marks of BMW AG and/or the relevant third parties. 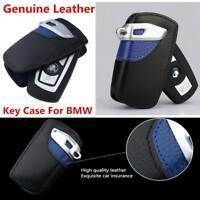 Nothing contained in this webshop shall be deemed to confer on any person any licence or right on the part of BMW AG or any third party with respect to any such name, logo or image. Other Intellectual Property Rights The products and services and technology or processes described in this webshop may be subject to other intellectual property rights reserved by BMW Group companies or its licensors or any relevant third parties. No licence is granted in respect of such intellectual property rights. Links to other Webshops This site may contain (hypertext) links to other sites that enable users to leave this site and go directly to the linked site. The links are provided to assist users of this webshop and the inclusion of a link does not imply that we endorse or have approved the linked site. We do not control linked sites, and are not responsible or liable for their content or any link within such sites, or for any transmission received from any linked sites. No Warranties or Liability This webshop and the information, images, materials and other content shown are provided without any representation or endorsement being made and without any warranty of any kind, whether express or implied, including but not limited to, any implied warranties of satisfactory quality, fitness for a particular purpose, non-infringement, compatibility, security and accuracy. To the extent permitted by law, all such terms and warranties are hereby excluded. Without limitation to the foregoing, although we take care to ensure that the information, images, materials and other content provided on this webshop are accurate, we give no warranties of any kind, express or implied, that they are accurate, complete or up to date. You should not rely on the information to make any decision or take any action. We will not accept any liability for the accuracy or completeness of the information contained in this webshop or for any reliance placed by any person on the information. In no circumstances will we be liable for any losses sustained and arising out of or in connection with use of this webshop or any site accessed from this webshop including, but not limited to, loss of profits, loss of data or loss of goodwill (whether direct or indirect) nor any economic, consequential, indirect or special loss. Nothing in these terms shall exclude or limit our liability for death or personal injury resulting from our negligence or shall affect your statutory rights if you are a consumer. Severance If any of these terms are found to be illegal, invalid or otherwise unenforceable, then to the extent of such illegality, invalidity or unenforceability, such terms shall be deleted and severed from the webshop terms. The remaining enforceable terms shall continue in full force and effect and continue to be binding. Law These terms shall be governed by and construed in accordance with the laws of England and Wales, Disputes arising in relation to them shall, unless expressly agreed otherwise, be subject to the exclusive jurisdiction of the courts of England and Wales. Telephone Calls and E-mails Telephone calls and e-mail correspondence with the email addresses accessible through, or obtained from, this webshop may be recorded or monitored. By using these communication methods you are consenting to the recording or monitoring of your calls and e-mails. Part B: Terms and Conditions of Sale Please read these Terms and Conditions of Sale ("Terms") carefully before using this webshop. By using this webshop or placing an order you accept these Terms. If you do not accept these Terms, do not use this webshop. This notice is issued by Park Lane Limited. If you have any questions relating to these Terms please contact us by email at bmw@wearepentagon.com. Your statutory rights are not affected by these Terms. 1. Information about Us This webshop is operated by Park Lane Limited, a limited company registered in England under Company Number 1569304, having its registered office at Summit ONE, Summit Avenue, Farnborough, Hampshire, GU14 0FB (referred to as "BMW/we/our/us"). 2. General We reserve the right to change these Terms at any time. Any such changes will take immediate effect when posted on the webshop (see date at the top) and it is your responsibility to read the Terms on each occasion you use this webshop and your continued use of the webshop shall signify your acceptance to be bound by the latest version of the Terms as communicated on the webshop. 3. Service Availability 3.1 Our webshop is intended for use by people resident in the United Kingdom and the Isle of Man. We do not accept orders from individuals outside the United Kingdom or the Isle of Man. 3.2 By placing an order you warrant that you are legally capable of entering into binding contracts and resident in the United Kingdom. 4. Goods 4.1 Specifications on this webshop of the goods are not intended to be binding and are intended only to give a general description of the goods. In all other respects, and to the maximum extent permissible, we make no other warranties or promises about the goods, and any implied warranties are excluded, unless expressly stated otherwise in these Terms. 4.2 All goods offered on this webshop for sale are subject to availability. We regret that occasionally it may be impossible to complete an order if stock runs out or is withdrawn for any reason. If there is any problem occurring we will let you know as soon as reasonably possible. 4.3 Specific goods offered on this webshop are to be installed exclusively by trained technicians at a specialist workshop and not by the end user. Damage to any part due to incorrect fitment is not covered under warranty. 5. Ordering process, Acceptance 5.1 We will treat each order for our goods offered on the webshop as an offer by you to purchase the goods subject to these Terms. The confirmation stage sets out the final details of your order. Your order constitutes a binding offer to us to buy the goods. 5.2 After you submitted your order, you will receive an email from us which confirms receipt of your order and details the goods you have ordered. Please note that this email does not mean that your order has been accepted by us. 5.3 All orders are subject to acceptance by us. Acceptance of your order and the completion of the contract of sale between you and us will take place on our confirmation to you by email that your ordered goods have been dispatched, unless we have notified you that we do not accept your order. 6. Prices 6.1 The price of any goods will be as quoted on our webshop from time to time, except in cases of obvious error. The prices as communicated on the webshop at the time of your order apply. 6.2 The prices include VAT but exclude delivery costs, which will be added to the total amount due. All prices displayed on the webshop are quoted in UK Pounds Sterling and must be paid in full, including delivery charges. Prices are subject to change at any time. 6.3 Despite our best efforts it is possible that some of the goods listed on our site may be incorrectly priced. If a good's correct price is lower than the price stated on our webshop, we will reimburse you the difference in price between the price you paid and the correct price. If a good's correct price is higher than the price stated on our site, we will normally, at our discretion, either contact you for instructions before dispatching the good, or reject your order and notify you of such rejection. 6.4 We are under no obligation to provide the good to you at the incorrect price, even after we have sent you an acceptance email, if the pricing error is obvious and unmistakeable and could have reasonably been recognised by you as incorrect pricing. 7. Payment 7.1 We only accept payments through PayPal. 7.2 In the event that we are unable to supply the ordered goods we will inform you of this as soon as possible and a full refund will be given where you have already paid for the goods. 8. Delivery 8.1 Delivery shall be made to the delivery address supplied by you at the time of ordering. 8.2 We ship to all addresses within the UK excluding Gibraltar and British Sovereign Bases Cyprus. We also ship to the Isle of Man. 8.3 While we endeavour to deliver within the non-binding times specified, any times quoted for delivery are non-binding and approximate only and we shall not be liable for any delay in delivery of the goods howsoever caused or any direct or consequential damages, losses or other claims whatsoever in connection with any delay in delivery. 9. Transfer of Ownership and Risk 9.1 The risk of damage to or loss of the goods shall pass to you at the time of delivery to the specified delivery address. 9.2 Title and ownership of the goods will only pass to you when we received full payment of all sums due in respect of the ordered goods, including delivery charges. 10. Warranties 10.1 All BMW products come with a two year warranty, giving you peace of mind if they should become faulty within 24 months of purchase. 10.2 You can make a warranty claim by contacting us or at any authorised BMW Retailer within the UK who will repair or replace the defective part. Please don’t forget to bring your original receipt of purchase from BMW Direct. 10.3 Damage to any part due to incorrect fitment as well as faults due to fair wear and tear are not covered under warranty. 10.4 You hereby warrant and represent that you do not intend to resell Genuine BMW Parts purchased in this webshop for commercial purposes. If we discover before delivery that this warranty is untrue, we may give you notice cancelling the Agreement. 10.5 This warranty is additional to your statutory rights. 11. Right to cancel 11.1 Under the Consumer Contracts Regulations you have up to 14 days after you have received your delivery to cancel your order via BMW Direct without giving any reason. In the unlikely event that items from an order consisting of multiple items were sent separately, the 14 days begins the day after the last item was received from the order. To exercise the right to cancel, you must inform us (Address: BMW Park Lane (Battersea), 102-104 Stewarts Road, London SW8 4UG) of your decision to cancel the agreement by a clear statement (e.g. a letter sent by post, fax or e-mail). We recommend you contact us through eBay and we will respond with the return address and an identifying number for you to enclose with the returned product. Alternatively, please fill out our BMW Direct Cancellation Form and send to the address detailed within. 11.2 To meet the cancellation deadline, it is sufficient for you to send the communication concerning your exercise of the right to cancel before the cancellation period has expired. 11.3 If you cancel the Agreement, we will reimburse to you all payments received from you, including the costs of delivery (except for the supplementary costs arising if you chose a type of delivery other than the least expensive type of standard delivery offered by us). We may make a deduction from the reimbursement for loss in value of any goods supplied, resulting from the handling other than what is necessary to establish the nature, characteristics and functioning of the goods. 11.4 We will make the reimbursement without undue delay, and not later than (a) 14 days after the day we receive back from you any goods supplied, or (b) (if earlier) 14 days after the day you provide evidence that you have returned the goods, or (c) if there were no goods supplied, 14 days after the day on which we are informed about your decision to cancel this Agreement. We will make the reimbursement using the same means of payment as you used for the initial transaction, unless you have expressly agreed otherwise; in any event, you will not incur any fees as a result of the reimbursement. We may withhold reimbursement until we have received the goods back or you have supplied evidence of having sent back the goods, whichever is the earliest. 11.5 You shall send back the goods without undue delay and in any event not later than 14 days from the day on which you communicate your cancellation from this Agreement to us. The deadline is met if you send back the goods before the period of 14 days has expired. It is the buyer’s responsibility to arrange and fund the cost of returning an item(s) to BMW Direct. The only exceptions here are instances where the BMW Direct team deem an item(s) to be faulty or when the wrong item(s) has been sent – a separate procedure is followed here which will be communicated to the customer accordingly. 11.6 Please note sealed software purchased from BMW Direct is excluded from the 14 days returns rule – any sealed software (e.g. Navigation update) which has been opened will not be refunded unless faulty. Limitation of liability Except for fraud, death or for personal injury resulting from our negligence, we limit our liability to the amount you have paid for the goods under this Agreement and expressly exclude all liability for (i) any economic losses (including without limitation loss of revenues, profits, contracts, business or anticipated savings); and (ii) any loss of goodwill or reputation and (iii) any special, indirect or consequential losses. Law The Agreement and these Terms (and all non-contractual obligations arising out of or in connection with it) shall be governed by and construed in accordance with the laws of England and Wales The courts of England and Wales shall have exclusive jurisdiction to settle any dispute arising out of or in connection with the Agreement. Immediate payment of £48.30 is required. Item exactly as described with rapid delivery. Great Seller. Great service, good communication, would happily recommended, 5 stars all round. Recommended getting officially BMW matt for drivers side! Excellent non slip matts. They come with velcro pads and fittings to stop them slipping. Had bought a cheaper non bmw set for £20.. but the driver one was dangerous as it interfered with pedals! Fitted to my 318i estate. great quality mats that fit perfect.